High-powered New York lawyer Amir has climbed the corporate ladder while distancing himself from his Muslim roots. When he and his wife Emily host a dinner party, what starts as a friendly conversation escalates, shattering their views on race, religion, and each other. Approximate run time: 90 minutes without intermission. Provocative, shocking, Pulitzer Prize-winning. Take a first look at the Huntington's production of Disgraced. Why is everyone talking about Disgraced? Disgraced is the most produced play in the United States this year. The cast talks about why this play is part of an important national conversation. "Like with any good art, it's going to make you feel a little bit uncomfortable, but it's going to be one of those experiences that you won't soon forget." On Stage | Airports? How are they for you? "You know, you hear stories..." An innocuous conversation about air travel quickly becomes tense. Post-show conversation with Dr. Noor Hashem, Contemporary Muslim Fiction Scholar, moderated by Yvonne Abraham, Boston Globe Metro columnist. Held after the January 24, 2016 performance of DISGRACED. A Pulitzer Prize-winning play is going into its final weeks on Broadway. But the issues it raises will stay with us for some time to come. Anthony Mason talks with playwright Ayad Akhtar. Ayad Akhtar Has a Pulitzer-Winning Play on Broadway and Another One, ‘The Invisible Hand,’ Opening Soon. Enjoy a series of brief interviews with Disgraced cast members Shirine Babb (Jory), Rajesh Bose (Amir), Benim Foster (Isaac), Nicole Lowrance (Emily), and Mohit Gautam (Abe). Reflections on Disgraced from Lis Timmel, the Huntington's Director of New Work. In this spoiler-heavy discussion, Silk Road Rising Artistic Director Jamil Khoury discusses how his "assessment of the play has gone from thoroughly anti-Disgraced to something more complicated." An interview with Ayad Akhtar in which he talks about how Disgraced evolved over time, including the climactic third scene. 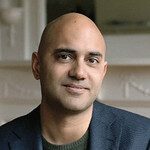 Ayad Akhtar is the author of Disgraced which won the 2013 Pulitzer Prize for Drama, was nominated for the 2015 Tony Award for Best Play for its Broadway run. He is a novelist and author of American Dervish, published in over 20 languages worldwide. His plays The Who & The What (2017) and The Invisible Hand received Off Broadway runs and are currently being produced around the world, and his play Junk will be produced on Broadway this fall. 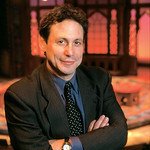 Gordon Edelstein recently directed Disgraced (2016) at the Huntington. He has Broadway credits that include The Road to Mecca (with Rosemary Harris, Jim Dale, and Carla Gugino) and The Homecoming (with Roy Dotrice and Lindsay Crouse). 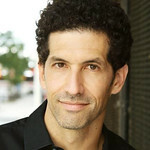 His Off Broadway credits include Satchmo at the Waldorf (Drama Desk Award, Outer Critics Awards), My Name is Asher Lev (Outer Critics Award for Best Play), The Glass Menagarie (Judith Ivey, Lortel Award), as well as work at the Roundabout Theatre Company, Second Stage Theatre, Playwrights Horizons, and many others. Long Wharf Theatre, under the leadership of Artistic Director Gordon Edlestein and Managing Director Joshua Borenstein, was founded in 1965. 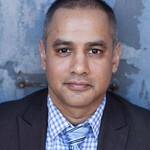 Rajesh Bose recently played Amir at the Huntington's, Long Wharf Theatre’s, and Play Makers Repertory Company’s productions of Disgraced (2016). 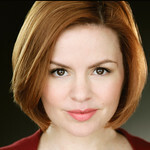 Nicole Lowrance previously appeared as Emily in Disgraced (2016) at the Huntington. She has Broadway credits that include Who’s Afraid of Virginia Woolf (u/s) and Dividing the Estate. Off Broadway credits include Permission (Manhattan Class Company); Middle of the Night (Keen Company); Peter and the Starcatcher (New World Stages); The Merchant of Venice, All’s Well That Ends Well, Engaged, and Don Juan(Theatre for a New Audience); and Columbinus (NewYork Theatre Workshop). Shirine Babb previously appeared as Jory in Disgraced (2016) at the Huntington. She has Broadway credits that include Macbeth with Ethan Hawke (Lincoln Center Theater). Her Off Broadway credits include Around the World in 80 Days (New Theater at 45th Street), Aliens with Extraordinary Skills (Women’s Project), A Role Once Played (29th Street Repertory Theater, AUDELCO Award nomination), and Single Black Female (Duke on 42nd Street). Benim Foster recently appeared in Disgraced (2016) at the Huntington. He has Broadway credits that include Disgraced (dir. Kimberly Senior) and Barefoot in the Park (dir. Scott Elliot), and the Roundabout Theatre Company’s national tour of Twelve Angry Men (dir. Scott Ellis). Off Broadway credits include Neil LeBute’sThe Way We Get By (dir. Leigh Silverman, Second Stage Theatre); Forever Dusty (New World Stages); Becky Shaw (dir. Peter DuBois, Second Stage Theatre); and Last Train to Nibroc (Drama League Award nomination for Best Play) and Henry V (dir. Doug Hughes, The Public Theater). Mohit Gautam in Disgraced (2016) at the Huntington and Long Wharf Theatre. Other theatre credits include the world premieres of The Abridged History of Modern Day India (Hollywood Fringe Festival), Over Here (New York Fringe Festival), and Asleep at the Wheel and Happily Ever (Brooklyn College). 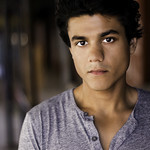 Mr. Gautam received his MFA in acting from Brooklyn College. Lee Savage recently worked on Disgraced at the Huntington. Ilona Somogyi designed costumes for Romeo and Juliet (2019), Fall (2018), Disgraced (2016), and Good People (2012) for the Huntington. Eric Southern recently worked on Disgraced (2016) at the Huntington. He has New York credits that include Pocatello (Playwrights Horizons), Judy (Page 73 Productions), A Midsummer Night’s Dream (The Pearl Theatre Company), Fashions for Men (Mint Theater Company), The Correspondent (OBIE Award) and The Few (Rattlestick Playwrights Theater), Buyer and Cellar (London, New York, and national tour),Collected Stories with David Lang (Carnegie Hall), Play/Pause (BAM Next Wave Festival), and Paul’s Case (Urban Arias, Prototype Festival). David Van Tieghem recently worked on Disgraced at the Huntington. He has also worked on the Broadway productions of The Gin Game, Doubt, The Lyons, Romeo and Juliet, A Behanding in Spokane, The Big Knife, A Man for All Seasons, Reckless, Mauritius, Inherit the Wind, Frozen, Three Days of Rain, The Normal Heart, The Crucible, and Judgment at Nuremberg. His Off Broadway credits include Wit, Heisenberg, The Heart is a Lonely Hunter, Jack Goes Boating, Woman Before a Glass, How I Learned to Drive, and The Grey Zone. Jeremiah Mullane has stage managed A Doll's House, Part 2 (2018); Man in the Ring (2018); Fall (2018); Bad Dates (2018); A Guide for the Homesick (2017); The Who & the What (2017); A Doll's House (2017); Tiger Style! (2016); August Wilson's How I Learned What I Learned (2016); Disgraced (2016); Choice (2015); The Second Girl (2015); Awake and Sing! (2014); Guess Who’s Coming to Dinner (2014); The Seagull (2014); The Cocktail Hour (2013); The Jungle Book (2013); and Invisible Man (2013) at the Huntington. JOIN US! Subscriptions start at $109!